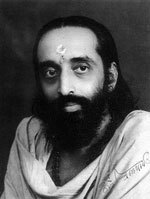 "His Holiness Swami Chinmayananda, founder of Chinmaya Mission�, taught spirituality as the art of living. Through jnana yoga (the Vedantic path of spiritual knowledge), he emphasized the balance of head and heart, pointing out selfless work, study, and meditation as the cornerstones of spiritual practice." "Disappointment can come only to those who make an appointment with the future." "Facts are mere raw materials to build a relationship between the teacher and the taught. The real job of teaching is to weave a fabric of relationship with your ideas and to attach it to so many points of the student's life that it becomes a part of him. The talks are the canopy of words that spread from the mouth to the ears of the student. But the actual transaction of Truth takes place under this auspicious roof of words: between the hearts of the teacher and the taught."